Home » Blog » Ever Feel Like You’re Faking It? 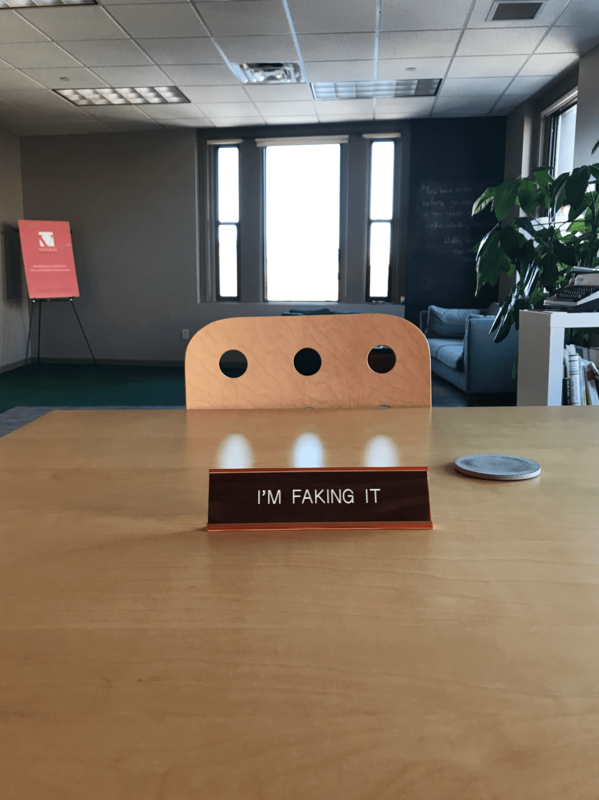 In 2015 Harvard Business Review published a survey that explained how modern CEOs struggle with “imposter syndrome” and that they fear “that they don’t know what they’re doing and the world will find out.” Sound at all familiar? The treacherous power of self-doubt. I notice how self-doubt comes most strongly when I compare my insides to other people’s outsides. Any time I do that, the result is always negative. We are either judging others from a small place or judging ourselves and feeling small, either way it is not good for our resilience and sense of self. That behavior gets in the way of clear, open and authentic communication. Fact: I will never see myself as you see me. Nor will you ever see yourself as others see you. As Alan Watts says, it’s like “smelling one’s nose.” We can’t ever get away from ourselves and our perspective. Might as well learn to like ourselves, right? Those CEOs (and the rest of us as well) all must deal with our own humanity from time to time. We will be faced with the understanding that we might fail, that we are not perfect, that we have flaws and gaps in our knowledge and our skills. We can focus on the improvement of skills and knowledge without thinking that the payoff will ever be perfection. That is a fool’s errand and an easy way to create more self-doubt (and more confusion in ourselves and in our communication). Sir Lawrence Olivier was said to have been so afraid to make a fool of himself after he was crowned one of the greatest actors of any generation that, in his later years, he would often have to be pushed to go onstage. He was terrified of being found out that he wasn’t exactly as the audience expected him to be. My friend John Brubaker (who is an extraordinary leadership and motivational team coach) also told me about the documentary “When We Were Beautiful” that followed Jon Bon Jovi’s tour. In it you see him at the height of his fame and stressing with many of the same fears and insecurities that we all have in our daily lives. If we can learn to accept ourselves and trust ourselves, then we can begin to truly explore and express our own excellence in the world. What would it be like if you could trust yourself and communicate yourself clearly and with confidence? If you are interested in this work, you can click check out the workshops below. In each the goal is to help people express themselves more clearly and with greater intention, regardless of the situation. If you are interested in signing up for workshops to learn how to access your voice, deepen your presence and trust yourself more, check out these workshops that are offered throughout the year. Stay brave and trust yourself, always.